In a little town called Brooklyn NY. there is a man sitting, rotting in a jail after being apprehended on money laundering, drug conspiracy, computer hacking and murder for hire charges in San Francisco. It is not my place to judge this man. I am a privacy advocate and it is my job to provide some insight for you to understand why a person alleged to have built a billion dollar business is now surrounded by grey walls and facing life in prison. Further, the crimes are not my concern. But the way he was tracked down….that’s my specialty. The man’s name is Ross Ulbricht but you may know him by the screen name “Dread Pirate Roberts”, creator of the Silk Road web site. 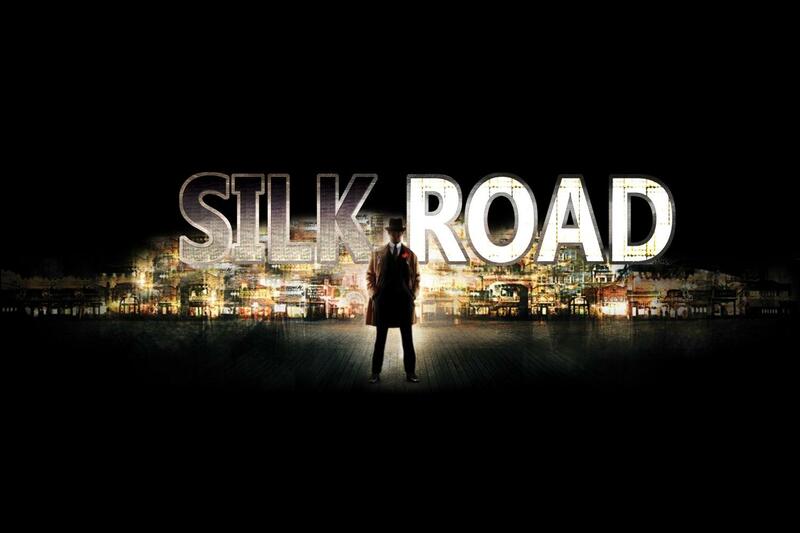 For those who don’t know, the Silk Road is a site where just about anything, and I mean anything can be bought. It’s like going to Mexico or the hood where you could buy any good or service if you bump into the right shady character with that specialty, but without the danger of going to a third world country or the ghetto. You can sit behind your own computer and privately order the vice or your choosing safely. What could ever go wrong with that? If you don’t grasp my attempt at humor, let me just tell you that things went very wrong here. Keep in mind that when you watch this video this is what is alleged to have happened and I’m sure a variation of stories will come out in court. For all I know the story is complete crap and the accused didn’t do all that he is accused of. In fact I find it odd that a man who had allegedly earned $80 million in profit over the past 2 years would have to get a public defender for a case that could land him in prison for the rest of his life. Some may say he’s being sneaky like a fox and is just putting on airs about being broke as part of his defense. Here’s my response to that: He is in jail in Brooklyn NY. where mob bosses go to trial. If he did these things he should take some of that $80 million and get one of those mob lawyers to handle it. Like I said. This is not my fight. What I want to give you the reader is what got him caught. The main thing was that Dread Pirate Roberts (fictitious name) sometimes gave out the gmail.com address of Ross Ulbricht (real person) when seeking computer assistance. This itself was a colossal mistake. When a person trying to maintain privacy mixes or interlaces identifiable information with information that is supposed to be private then the whole mission is blown. In cyber privacy there is no such thing as a little contamination. The second thing that allegedly happened to Mr. Ulbricht is the department of Homeland Security intercepted a package of 9 fake id’s with Mr. Ulbricht’s photo on them. The address on the package lead authorities to an address where Ulbricht was renting. Faking an official identity is one thing I advise strongly against but the point I intend to drive home here is what the bible calls birth pangs, the beginning of sorrow. When you begin to see great earthquakes and natural disasters it is a sign the end is near and Jesus will come like a thief in the night. When you start to receive trouble in your line of work you should consider it the same way you would consider the thunder in the distance before a rainstorm or the rumble on the ground you feel before a freight train blasts through. When Mr. Albricht realized his alleged shipment of ID’s didn’t come through he should have taken it as a sign that his world was coming to an end and it wouldn’t be Jesus coming like a thief in the night. It would be a dynamic entry from a swat team. In fact Albricht was seized at a library, but my point should be taken. When your experiencing the “birth pangs” you should have the discernment to see that a change is coming soon and it is time to straighten up and fly right. The third thing I believed failed Ross Ulbricht was actually the network itself. The Silk Road and TOR and Bitcoin are all private and very secretive but it must be understood that one little mistake will contaminate your operation. I believe The Dread Pirate Roberts believed his armor was impenetrable. A mistake that any of us can make. My advice here: Build good fences, continue to improve them and remember to walk them everyday to check for breaches. If you find a breach it is time to do a big clean up. At this time I want to say that I value the privacy and freedom the Silk Road offers but I can’t advise anyone to go on it. I also will never condone the drug dealing. As a drug dealer you contribute to the destruction of your customers life and assist in the destruction of families. Some drug dealers have told me that the addict does the damage to themselves, but I disagree. A drug dealer is a spoke in the wheel of depravity and destruction. If you are part of vicariously hurting people in any part of your business, I suggest you find a new line of work. I also want to remind you that the charges against Ross Ulbricht are only allegations at this time and he has not been convicted as of this writing.